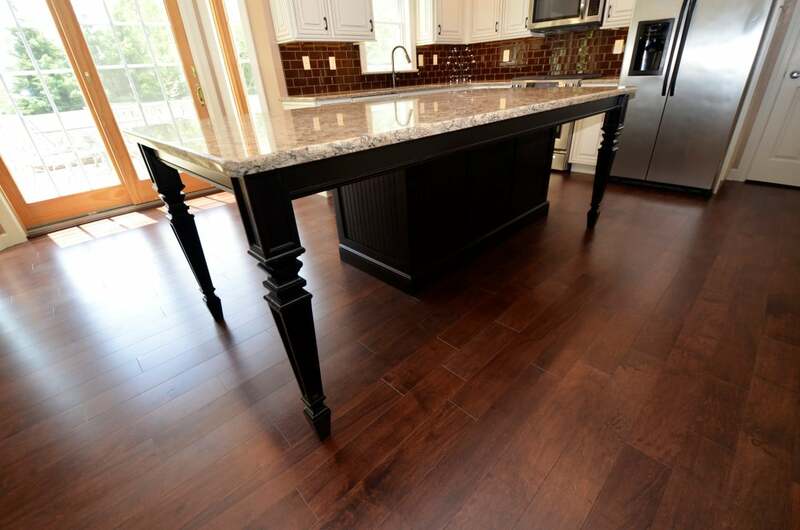 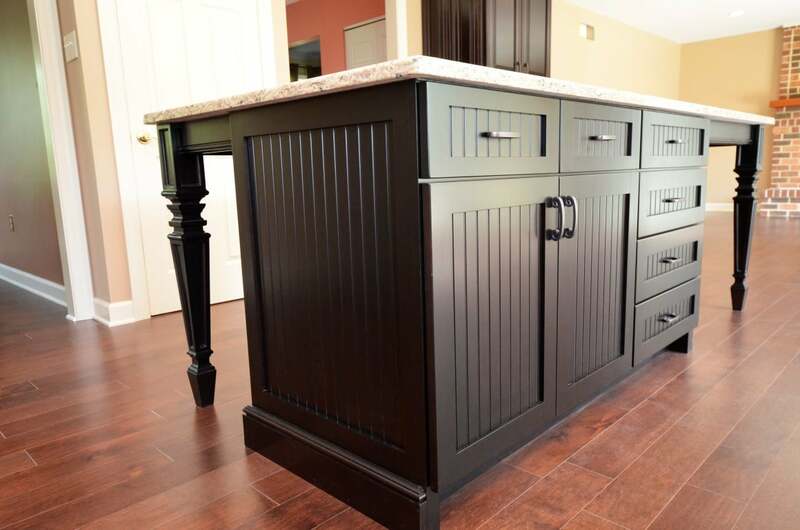 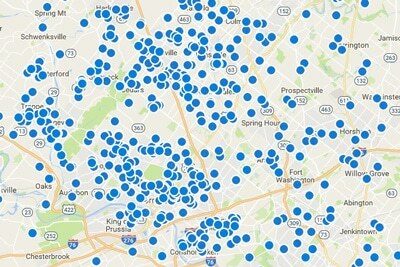 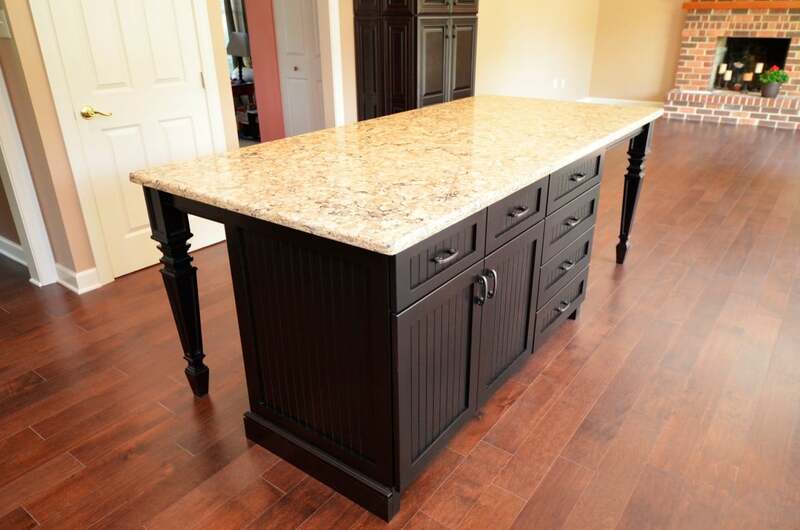 Gilbertsville Kitchen - Volpe Enterprises, Inc. 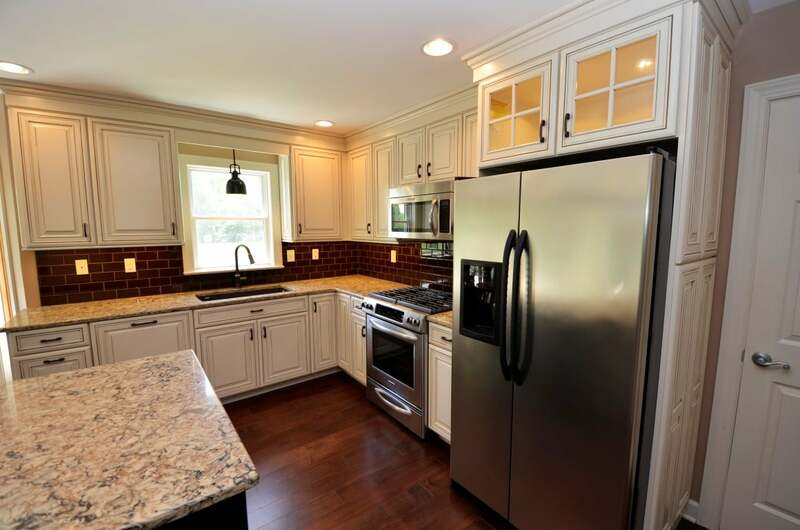 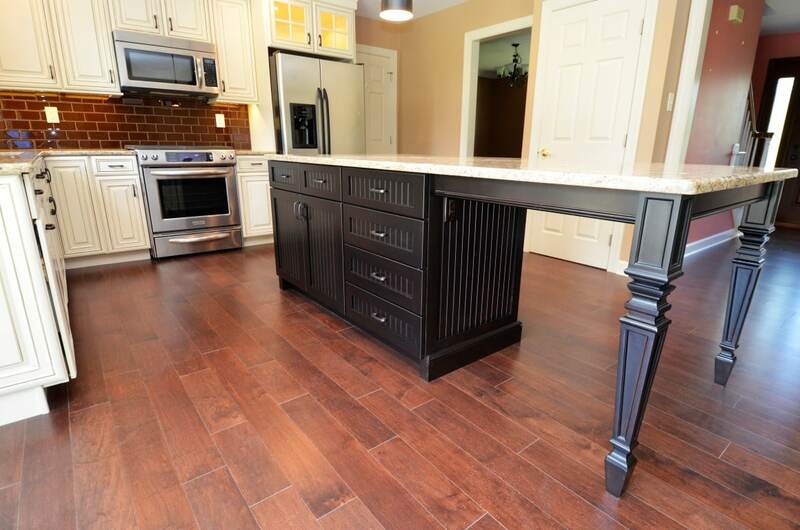 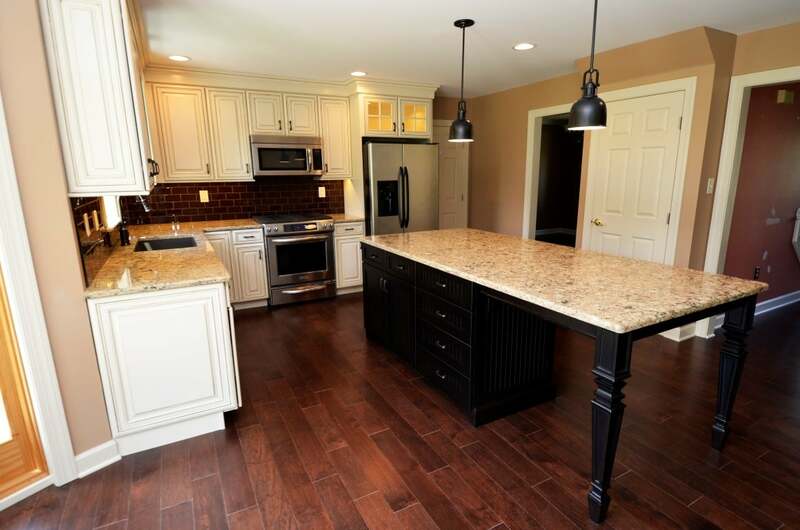 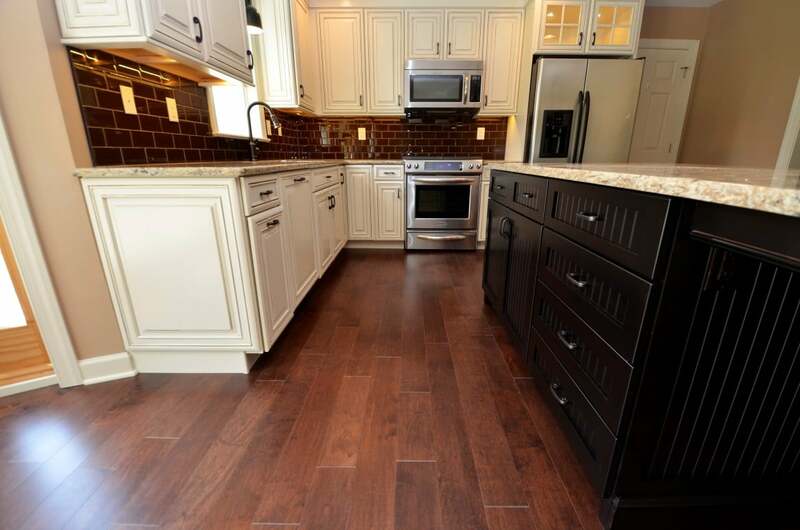 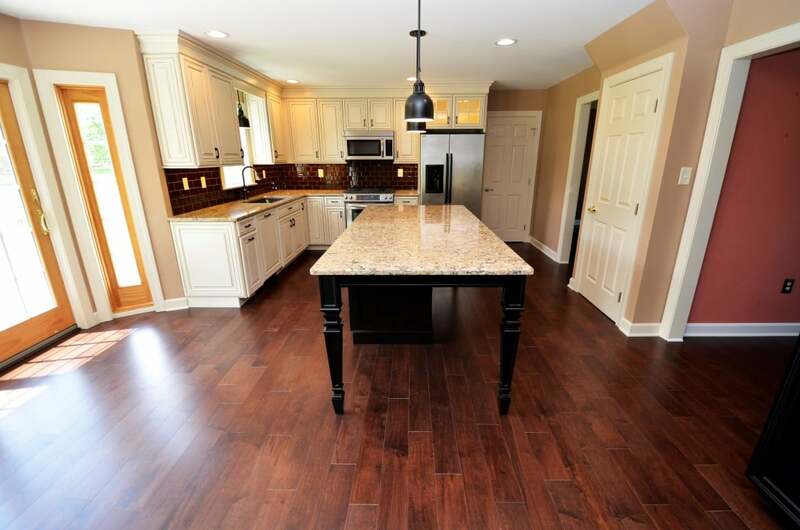 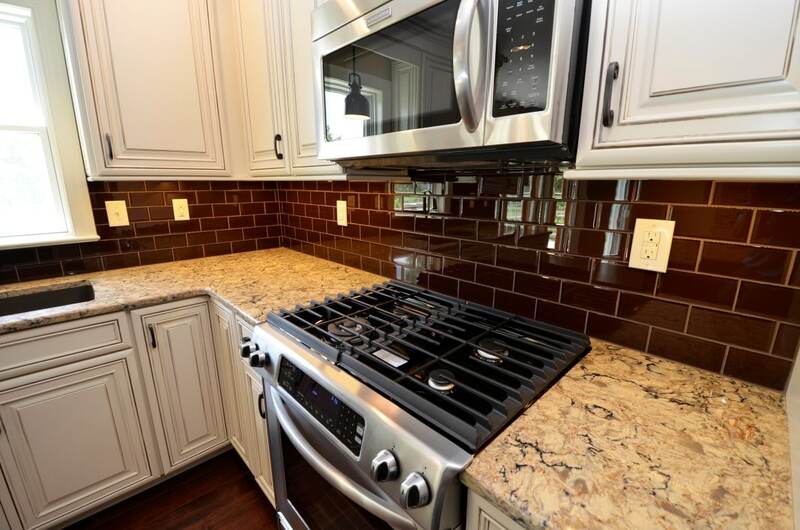 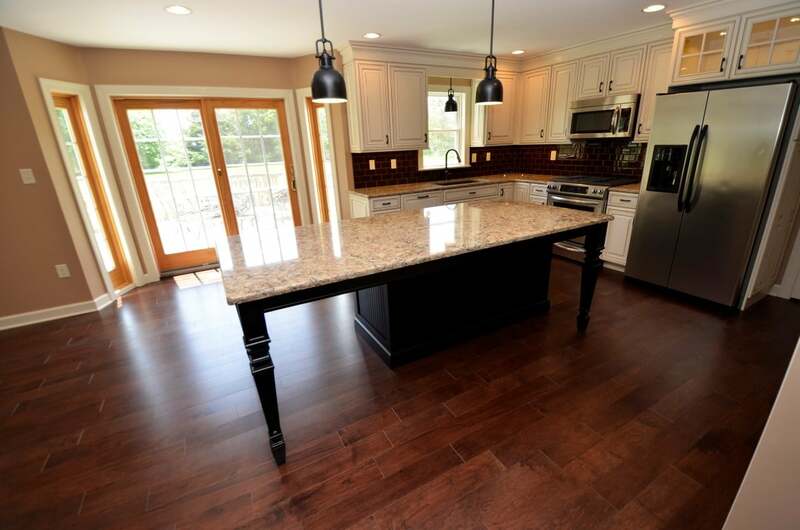 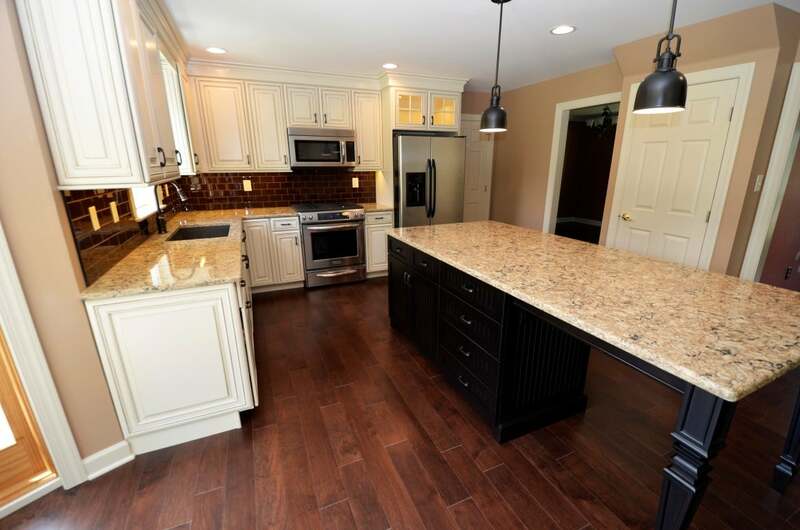 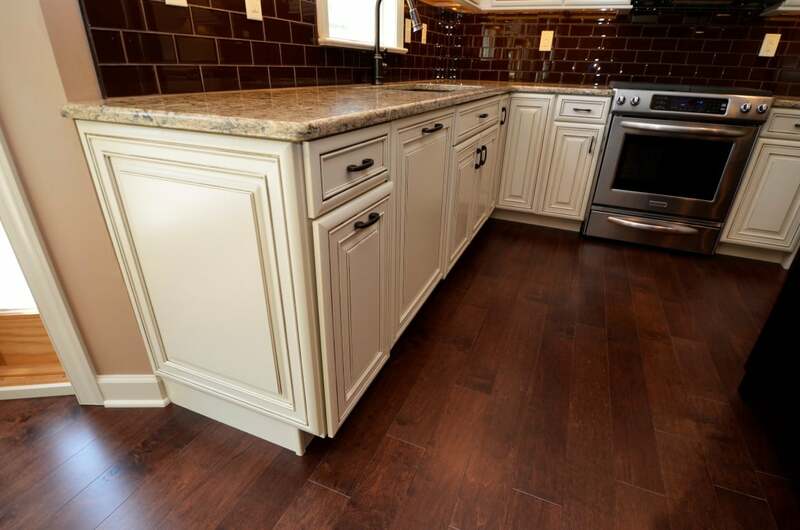 This kitchen in Gilbertsville, PA features recessed-panel cabinets, a mixture of light and dark wood cabinets, stainless steel appliances, dark hardwood floors and an island. 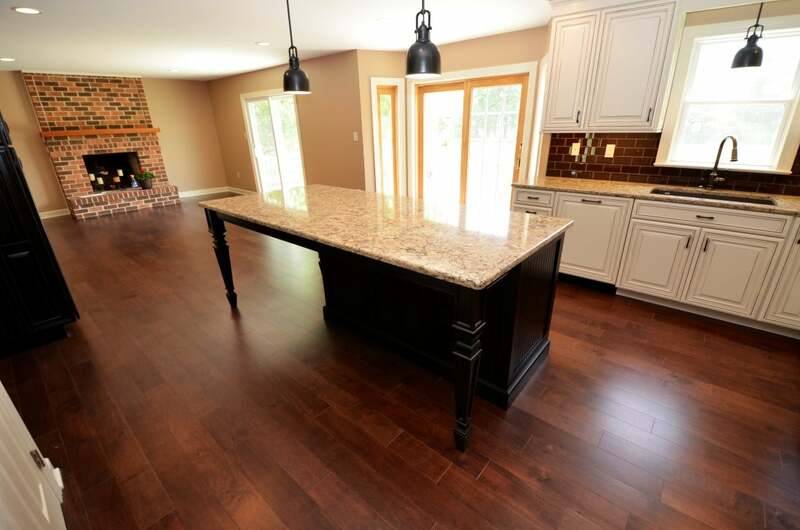 The walls were removed between the living room, dining and kitchen to allow for ample light and an open floor plan.